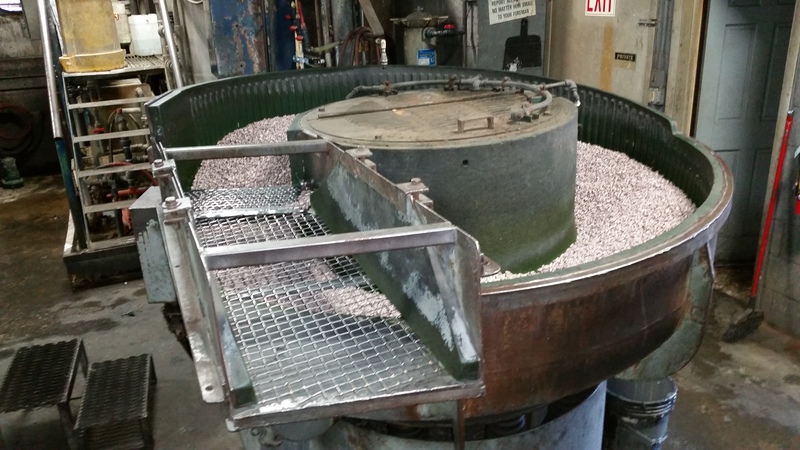 With many different vibratory finishing machines and medias available, this service is one of the core offerings provided by EFCO Finishing. Machines ranging in size from one cubic foot up to 60 cubic feet, we can handle a wide variety of different sized parts. A vast spectrum of different medias is also available depending on the finish desired, in addition to the different medias currently in the machines on the floor. 20 cubic foot vibratory machine. An explanation of the process is as follows. The vibratory bowl sits on springs, and operates with a motor, which causes the bowl to vibrate. 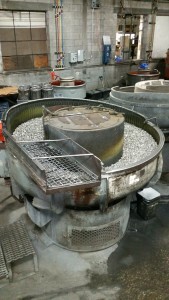 Inside the bowl is media, along with the parts you are looking to deburr. Media is not always necessary, as vibratory finishing can also be done by doing a part on part, or self tumble operation. 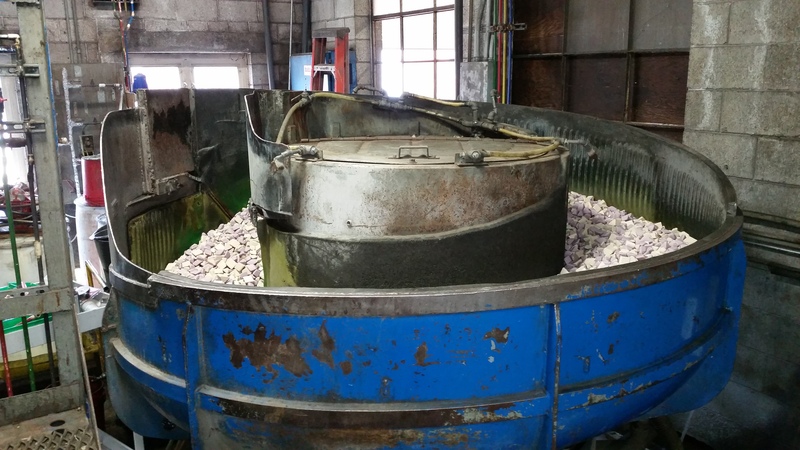 In addition to the media and the parts, for some processes there can be a liquid, or vibratory finishing solution, pumped into the machine for a wet process. The process can also be done dry. Upon completion, parts are unloaded out of the machine as they go over a dam that is raised to allow the media to fall thru, or are picked out of the machine by hand. Afterwards, they are dipped in an inhibitor, dried, and repacked. Vibratory finishing is most often used as a method of deburring parts, as the vibratory motion of the media rubbing against the sharp edges of the part provides the deburring action. But in addition to deburring, the following results can also be achieved: cleaning, degreasing, descaling, and burnishing. 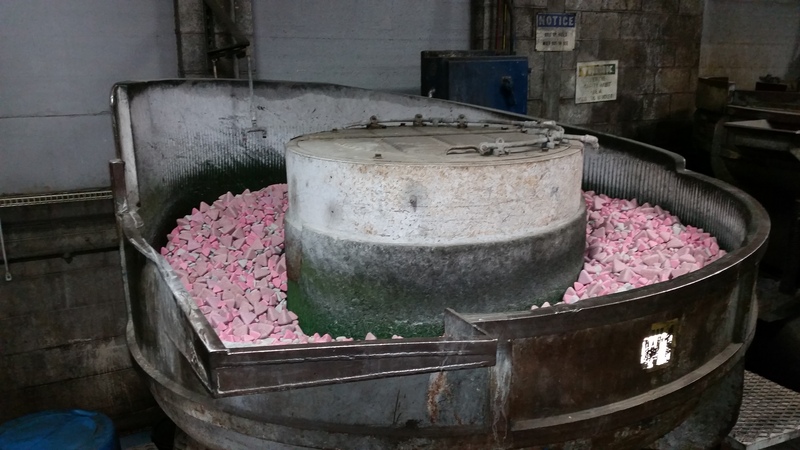 With so many different machines and medias available, quick turnarounds are the norm at EFCO, with two day turns being standard. Same day service may also be available……ask your representative. 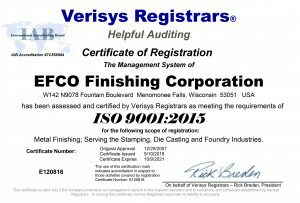 ©2019 EFCO Finishing Corporation • Site by McRae Studios, LLC.